The Alumiere windows at Ashford House provide the look of bespoke joinery with bold black framing. Design: Graham Jones Design. The Stegbar Alumiere range was a perfect fit for Ashford House in Victoria, which has a contemporary design inspired by the traditional farm-style Colorbond shed. 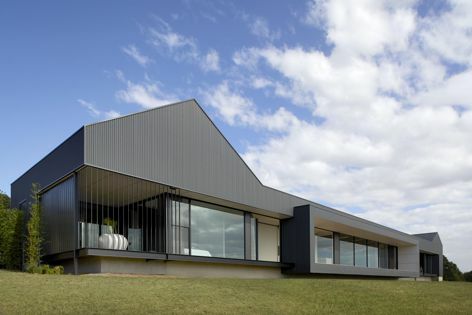 The design brief for this project, built by owners Steve and Donna Bright from construction company Excelcon alongside Graham Jones Design, was to frame the home and provide spectacular open rural views.